G.B. NORTHERN IRELAND. Belfast. 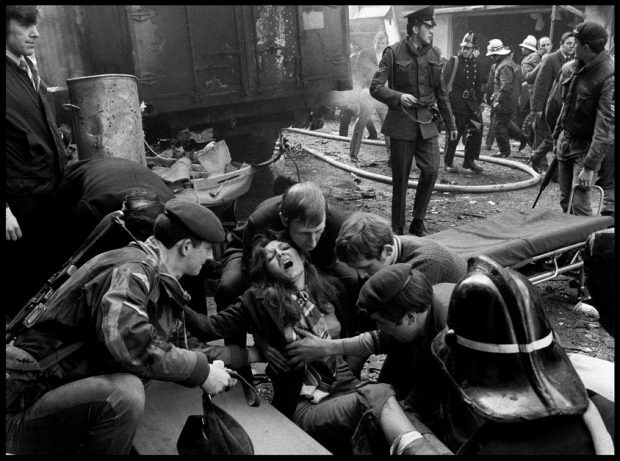 A woman wounded by an IRA bomb explosion in the city centre, is given first aid.